Fill out your information below to check in! Get your vehicle serviced while you work at Mohegan Sun and enjoy up to 19% off parts and service for any make or model vehicle! The more you spend the more you save! 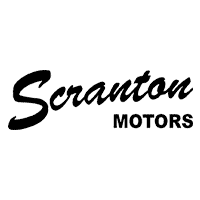 PARK you car in a designated Scranton parking spot on levels 3 or 7 of the Eagleview garage. Head to the Fitness Center counter to drop off your keys and fill out a basic express check-in service envelope. Check-in by phone, web or the “Mohegan Today” app and a technician will come pick up your car and perform the repair or maintenance services you requested. No appointment necessary. After the service has been completed and your vehicle has been cleaned, it will be returned to the assigned parking area. A bill will be left in your vehicle.